Larry Chambers and Nick Bowler. Larry and Nick took ownership of Anglesey Model Village in August 2017. 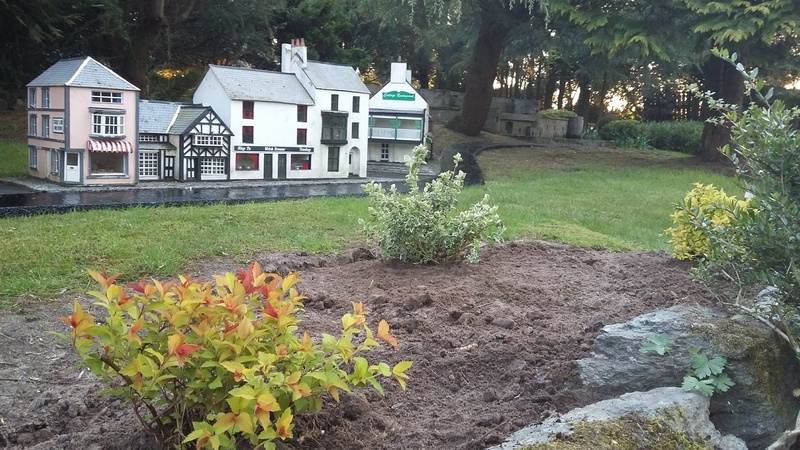 They embarked on a project to reopen the model village to visitors in 2018. With so much activity taking place to reopen the model village, we've captured our progress and thoughts as time has gone by. Anglesey has many great stories to tell visitors, some of them are more well known as others. We wanted to be able to tell the story of St Dwynwen, the Welsh St Valentine. The model village's Llanddwyn Island display was updated in July, with the lighthouse and pilot cottages being subject to a makeover. We introduced the island's two crosses and to finish the display off, a number of decorative grasses were planted. With the model village set in one acre of gardens, work to make the gardens presentable again took a big step forward in June. As well as creating new flower beds and restoring old ones, we wanted to enable the gardens have greater impact. We commissioned a local willow sculptor to create an enormous red squirrel and what was delivered to us was absolutely fantastic! A social media competition to name the squirrel, produced 'Helyg' (Welsh for 'Willow'). Preparations of the model displays picked up speed in May with a number of the existing models being repaired and painted. New display items started to appear too in the model village - more on that in a later blog post! 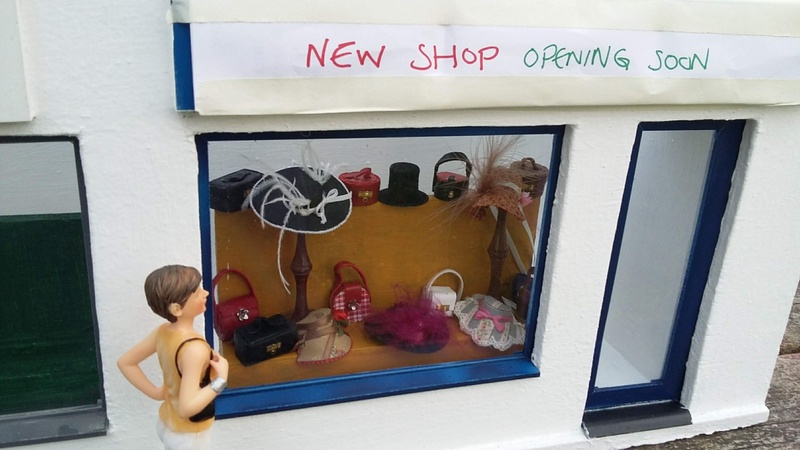 As part of the revamping of the high street shops, we ran a social media competition to name a new shop which sells fancy hats and designer bags. There was a huge response to the competition, many having excellent suggestions for the new name. Spring had finally arrived in Anglesey in April, meaning that new garden planting could finally begin in earnest and the existing models be revamped. For the first time in its latest chapter, the model village was beginning to come to life. 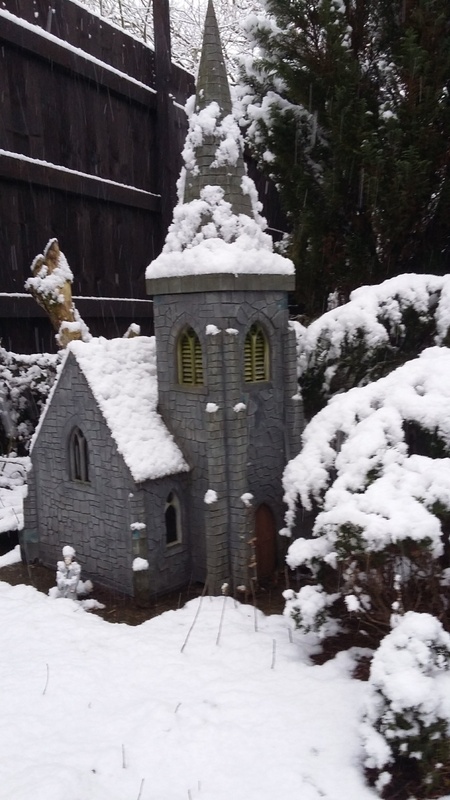 Winter had a final fling with the 'Beast from the East' bringing more snow to Anglesey and strong winds bringing down a tree in the model village. Work continued, but with a very different theme - emphasis was more towards creating the model village that we wish visitors to enjoy. As well as re-opening the model village with old favourites, work to create new displays took place. 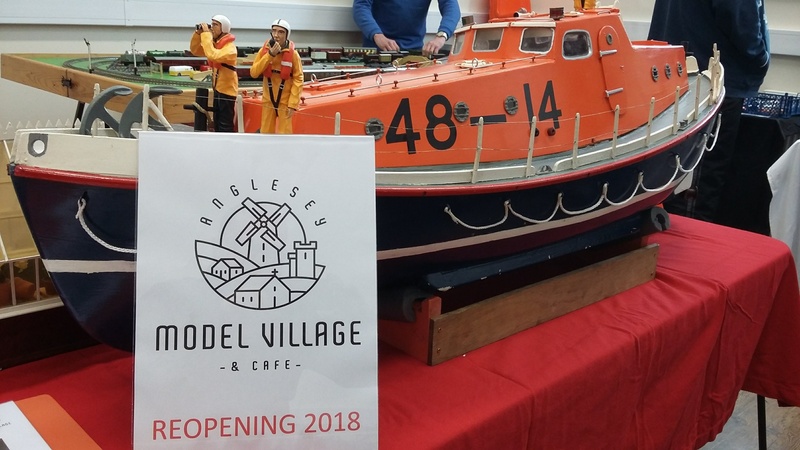 Some of the new displays went on show at the Anglesey Model and Collections Society show and we were very encouraged by the response received to the news of the model village reopening once again. February saw the coldest part of winter and a rare snowfall hit Anglesey too. Work however continued on the model village renovation, with the end to the clearance of the gardens finally nearing an end. Flowerbeds had been reinstated, borders cleared up, hedges trimmed and the first of the new plants were brought in too. Whilst winter continues, the work carries on at the model village. The big project in the gardens was the cleaning of the pond. Thick with sludge over 12 inches deep making it too thick to pump out, it took over 150 mega buckets to empty the pond by hand. 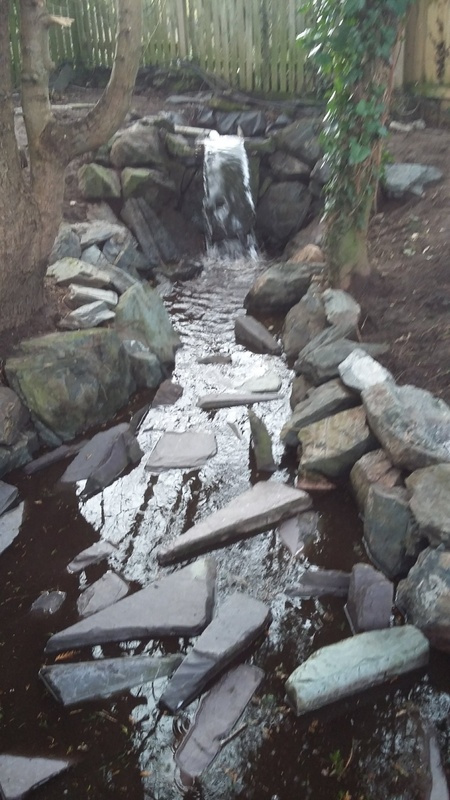 The water feature was cleared too, meaning that we had an operational stream and waterfall for the first time in since 2015. 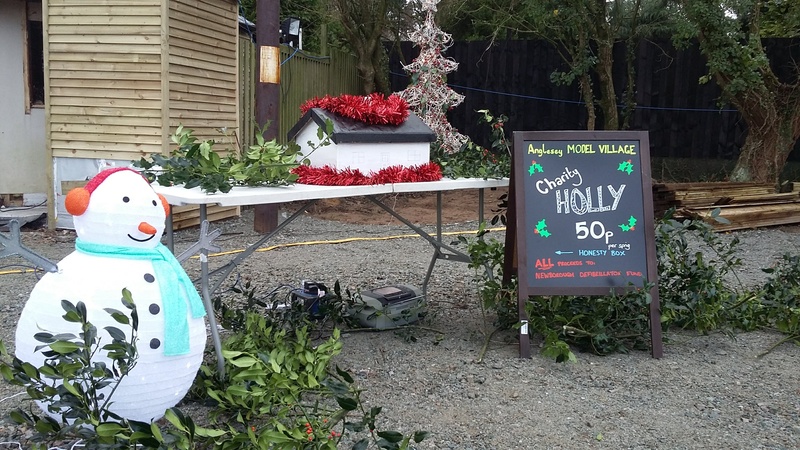 The work in the gardens gained a Christmas feel as cuttings from the holly tree were sold in aid of the defibrillator fund in the local village of Newborough. A total of £50 was raised and gave us a good excuse to meet some of the locals. After Ophelia in October, came the rain in November with progress again impaired by extreme weather. 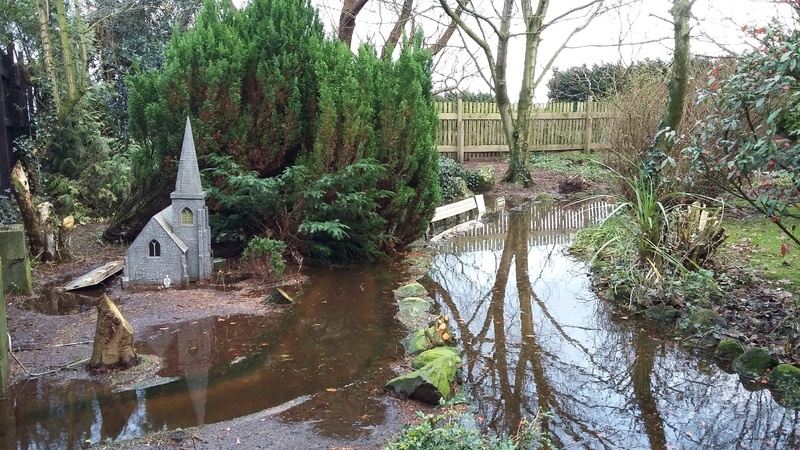 Work was progressing well with the gardens, but was briefly interrupted by bad weather. 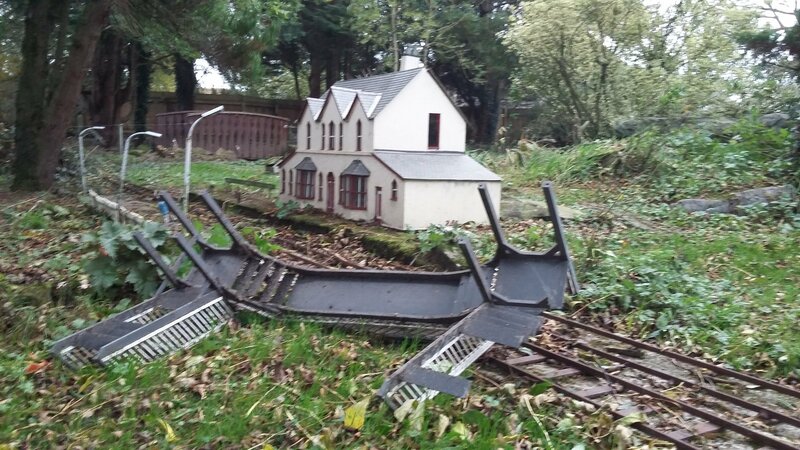 Storm Ophelia had wreaked havoc across Anglesey; at the model village, we escaped quite lightly in comparison with some others, with a couple of fences blown down and some minor damage to the models. During the time that the model village had been closed to visitors, nature had taken hold, so much so that even walking around the paths had become a challenge! So the initial work on the site began at the gardens with tackling overgrown and dead plants, trees and bushes. After 27 years, the model village creators, Jim and Anne Lympany, pass the reins over to Larry and Nick. With the models having been in storage for the previous 2 years following closure of the model village, the first job for the new owners was to lay out the model village and draw up plans for its refurbishment.